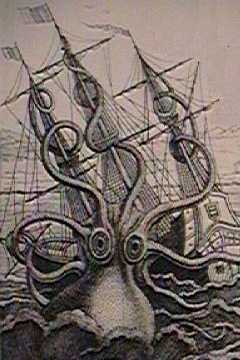 The Kraken is a legendary sea monster causing large whirlpools off the coast of Norway. "monster of the North Sea," 1755, from Norw. dial. krake.